Configuration and testing software for use with Microscan's complete line of barcode scanners and imagers. 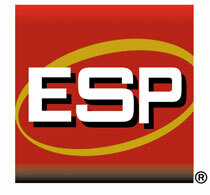 User-Friendly Interface: ESP features an intuitive user interface designed for maximum functionality. EZ Setup in Minutes: ESP’s exclusive EZ Mode enables you to easily capture images or decode symbols within minutes of unpacking your reader. Fully-Featured Terminal: The terminal offers a powerful environment for testing and troubleshooting. EU residents: By downloading this product, you are consenting that your personal data may be transferred to countries outside the EU and be stored by Omron Microscan at Omron Microscan's offices.